Accounting/Business, each term has different meaning and should not be confused with the other. Price is defined as the actual amount of money that a consumer has to pay to acquire a certain product or service. On the other hand, “cost” is referred to as the amount paid to manufacture a product or service before it is sold to its intended consumers. Looking at it from another context, “cost” means the total amount of money involved in production, marketing, and distribution of goods and services. The term also means the amount of money needed to bring a product or a service into existence. The element of money involve both "price" and "money", but the context where it is used is not the same. “Price” is the money paid to the seller for the product while “cost” involves the money of the seller to produce values. Cost can include labor, materials, capital, bills, wages and salaries of workers, and other financial transactions like marketing and distribution, advertisment and shipping. 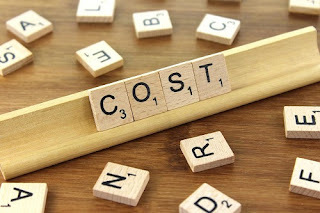 In business process, “cost” comes first before “price.” The costs of manufacturing a product and Service and the seller’s profit can be added to determine the price. In economics, price can be defined as the point where the supply and demand meet. Price and cost have different kinds and classifications. Price can be further classified as the transaction price, selling price, bid price, or buying price. While “cost” can be classified as fixed cost, variable cost, or opportunity lost. The first two types of cost listed above refer to operation costs in production. Opportunity costs do not necessarily mean money but opportunity for a business to profit. In terms of value, costs are often lower than the price. As i mentioned earlier, “price” is a combination of costs of production and added profits for the seller. From a seller’s point of view, a cost is already money spent while the price is anticipated income as a way to regain back the costs made in production.